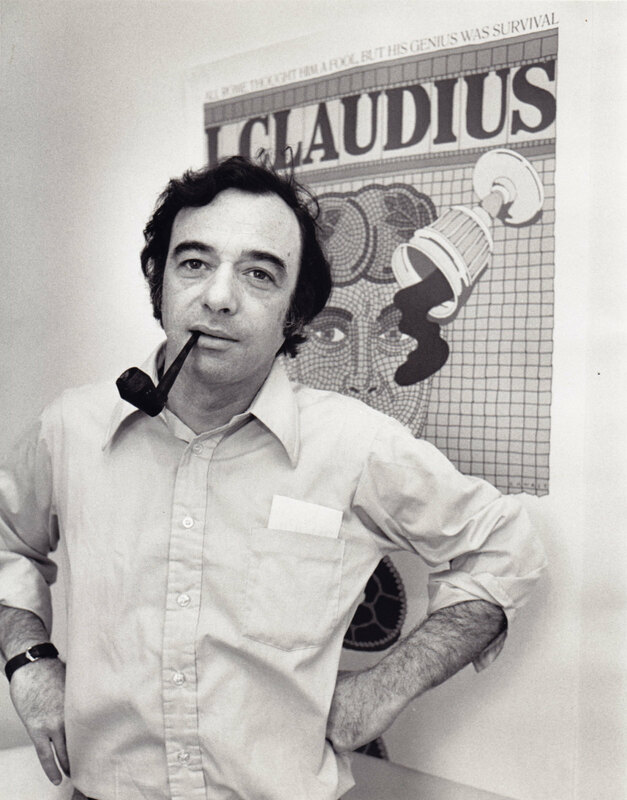 During the 1970s and 1980s, Chwast designed posters, ads, and supporting materials for several “Mobil Showcase” television programs. 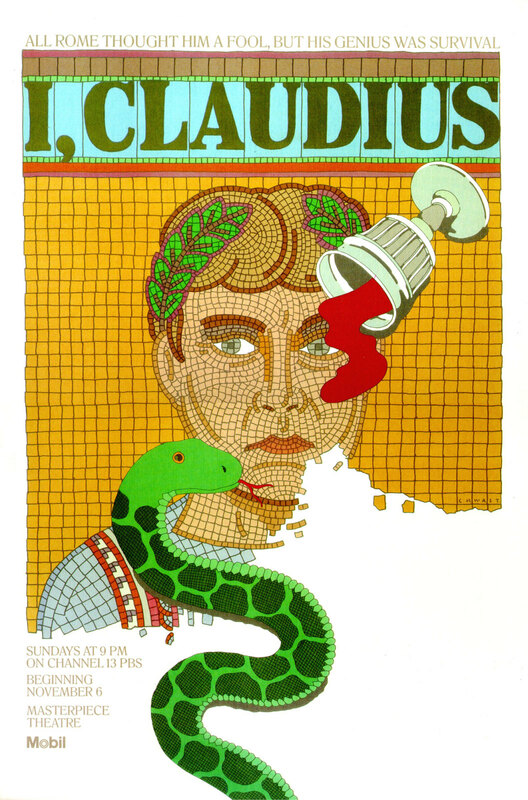 For I, Claudius, art directed by Sandra Ruch, inspiration was drawn from the program’s opening title sequence—a live snake crawling across a tile floor. To approximate the flat look of nineteenth-century chromolithography, Chwast asked the printer to use fifteen separate colors, rather than four process inks.